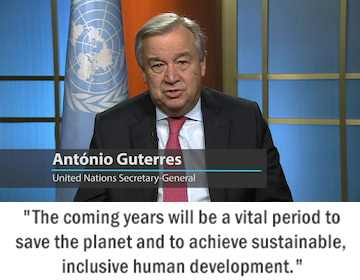 BONN (IDN) – While global estimates range between US$55 trillion and $93 trillion to stay within 2 degree Celsius of temperature increase by 2030-2035, developing countries in Asia alone need an estimated US$3.6 billion per annum up to 2030 to transition toward net zero emissions and increased resilience, according to ESCAP News. If finance is to be scaled-up to these levels, it is essential to use lending and capital market channels to shore up resources to effectively tackle the impact of climate change, according to countries in Asia-Pacific which gathered on November 16 on the sidelines of global climate talks in Bonn to discuss opportunities to raise ambition to meet the goals of the Paris Agreement through innovative finance solutions. 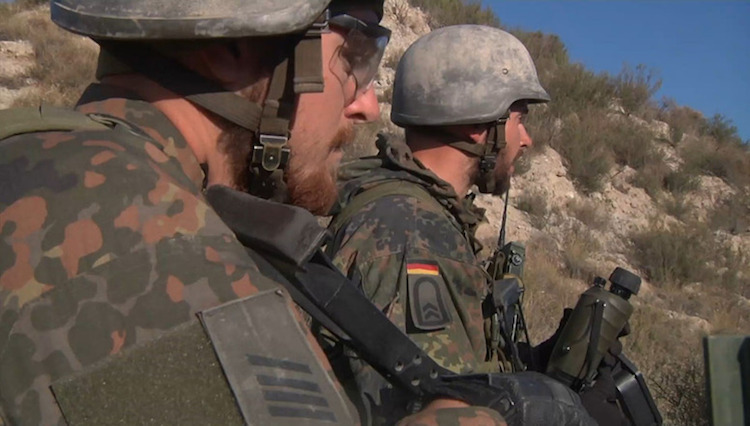 It was acknowledged that additional support from the international community was required to support this effort. COPENHAGEN (IDN) - Quick change is needed to save the long-term future. The central problem, which the world faces in its attempts to avoid catastrophic climate change, is a contrast of time scales. In order to save human civilization and the biosphere from the most catastrophic effects of climate change, we need to act immediately. Fossil fuels must be left in the ground. Forests must be saved from destruction by beef or palm oil production. 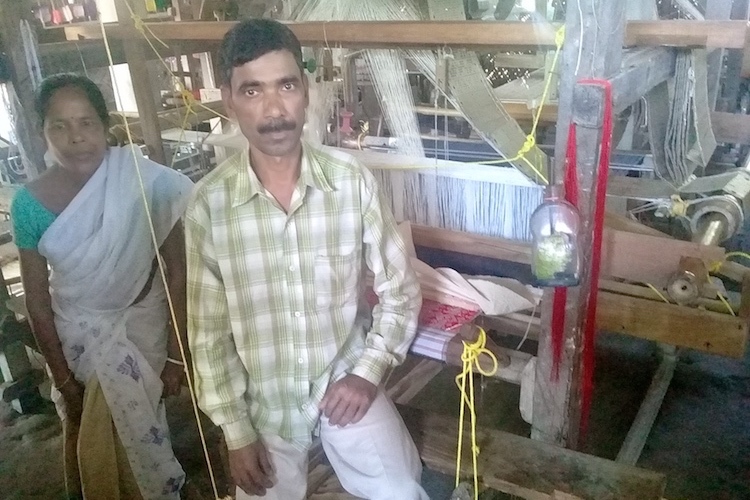 SUALKUCHI, Assam, India (IDN) – Silk weaving is an intrinsic part of Assamese culture and the "weavers' village" of Sualkuchi is famous for its silk products, especially the Muga silk made from the golden thread of the assama caterpillar. Situated about 30 km from Gauhati, the state capital, tourist brochures describe this as a weavers' paradise. But this is far from reality for the local weavers. "The cost of production is going up, especially with an increase in the price of thread. We cannot feed the family with our loom," said Ninola Boruah, a local weaver in her 40s. She was particularly critical of the entrepreneurs who have set up what the industry calls "cluster" operations. These consist of a virtual factory with 8 to 12 looms packed into a small hut employing weavers on daily wages. BERLIN | NEW DELHI (IDN-INPS | WION) - Major Siddharth Chatterjee (Retd), the United Nations (UN) Resident Coordinator and the UNDP Resident Representative in Kenya, a humanitarian and development professional, a feminist and a passionate advocate for youth empowerment who has served in many war-ravaged and fragile parts of the world spoke exclusively to WION about his passion for advancing gender equality, his impressions of Kenya, the UN reform, and his transition from the Indian Army to the UN. 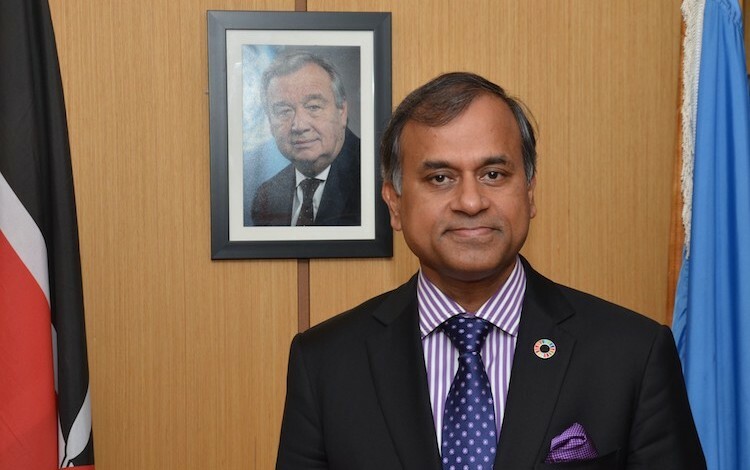 Below is the full transcript of the interview, first published on WION on November 15, 2017. It is being reproduced with due permission. 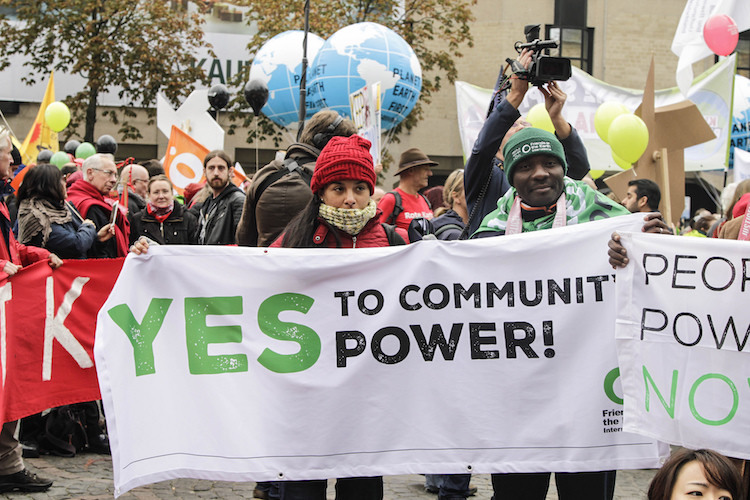 BONN (IDN) - As the UN climate talks in Bonn (COP23) drew to a close, Friends of the Earth International (FoEI) bashed the rich countries for once again showing poor leadership by not taking serious action on climate change – despite new evidence showing emissions are on the rise. 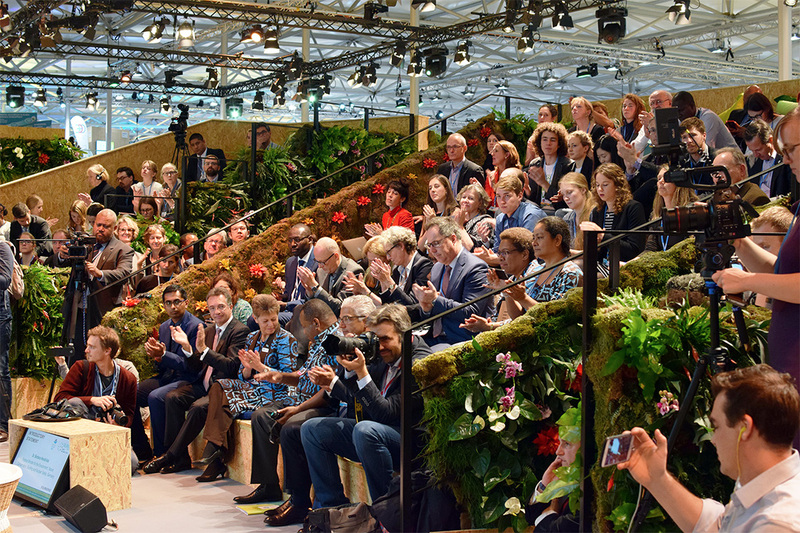 FoEI's Dipti Bhatnagar said: "Rich nations, including those calling themselves 'climate leaders', have brought crumbs to the table on pre-2020 climate action. But this is meaningless, as they continue to push dirty energy at home and overseas, and fail to support energy transformation in the South. As we learnt this week, emissions are set to rise again for the first time in three years. If nothing changes, then these so-called leaders have booked their spot on the wrong side of history." BONN (IDN-INPS) – It is fitting that this year’s conference is led by Fiji, a nation on the frontlines. Last month I visited other small islands facing the impacts of a warming world: Antigua and Barbuda and Dominica. The hurricane damage was beyond belief. The catastrophic effects of climate change are upon us. Floods, fires, extreme storms and drought are growing in intensity and frequency. Atmospheric levels of carbon dioxide are higher than they have been for 800,000 years. NEW YORK (IDN-INPS) – NATO’s recent provocative decision to build up its military forces across Europe by sending four new multinational battalions to Lithuania, Latvia, Estonia and Poland, comes at a time of great turmoil and intense questioning of global security with new forces for both good and evil straining to make their mark on the course of history. 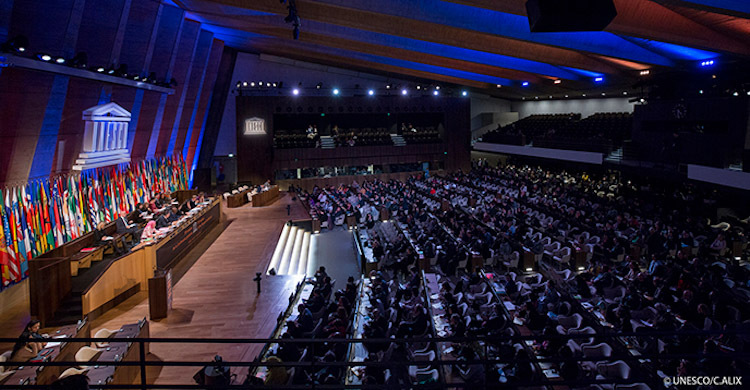 On November 10-11, at the Vatican, Pope Francis held an international conference to follow up on the recently negotiated treaty to prohibit the possession, use, or threat of use of nuclear weapons leading to their complete elimination which was negotiated in the UN General Assembly this summer by 122 nations, although none of the nine nuclear weapons states participated. PARIS (IDN) – “May the force be with you” was one of the comments by an ambassador at the investiture ceremony of UNESCO’s new director-general, Audrey Azoulay of France, on November 13. The “Star Wars” quotation was meant to evoke the many challenges that lie ahead for Azoulay as she takes over management of the cash-strapped UN educational, scientific and cultural agency and tries to heal internal rifts. In the absence of a magical lightsaber (a fictional energy sword featured in the Star Wars universe), she will have to rely on her experience, diplomatic skills and the backing of member states, many of which expressed support and encouragement after her election, although they did not all vote for her. 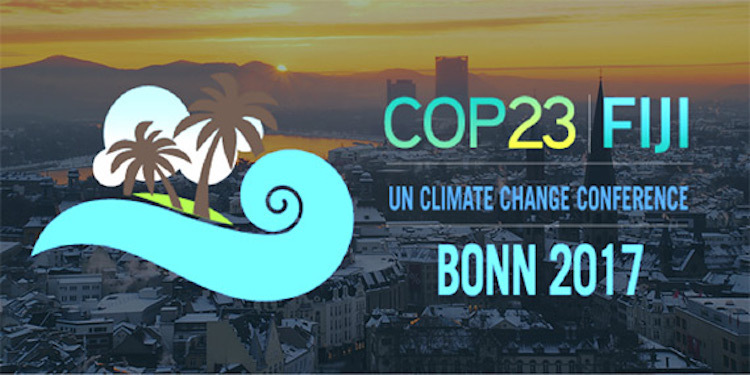 BONN (IDN) - The 28-nation European Union and 79 countries of the African, Caribbean and Pacific (ACP) Group have reaffirmed their commitment to the implementation of the Paris Climate Agreement, which entered into force on November 4, 2016. 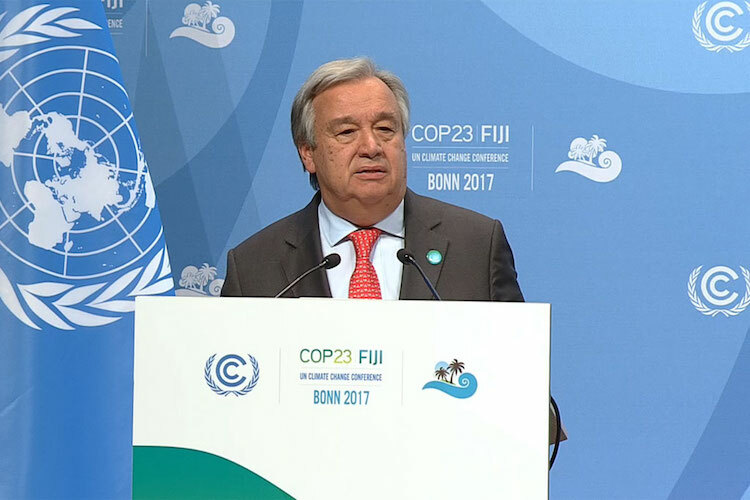 They also urged all member states to ensure concrete progress at the UN Climate Change Conference (COP23). Both the EU and the ACP Group acknowledge the importance of this year's conference to ensure the achievement of key milestones for the full implementation of the Paris accord.